Workers have broken ground on a $40 million data center in the city of Hammond, Indiana, on the 77-acre site of a former coal plant on Lake Michigan. Led by developers Tom Dakich and Peter Feldman from Indiana NAP, the Digital Crossroads project will comprise a 105,000 square foot (9,755 sq m) data center, a start-up incubator, a greenhouse and a small solar farm. The greenhouse, which will be used by Purdue University Northwest, will rely on waste heat from the data center. The site could eventually be scaled up to accommodate another three data centers of the same size, representing a total investment of $200 million. Hammond’s location inside the Indiana border (but still within the Chicago metropolitan area) means the site will benefit from local tax relief, whilst remaining within a reasonable distance of Illinois’ largest city. The property was considered by Amazon as a potential site for its new headquarters, putting it on Dakich and Feldman’s radar, who snapped it up when it wasn’t shortlisted by the retail giant. The development has been awarded a $9m conditional tax break that has been approved by the state of Indiana on the basis of the site’s redevelopment, designed to encourage industrial property conversions. It is possible that it will receive more tax relief from the city of Hammond, as reported by Energy News Network when the project was first announced earlier this year. The site’s former occupant, the State Line Energy plant, used to generate the largest share of the city’s tax revenue, Hammond’s mayor Tom McDermott told Inside Indiana Business earlier this year. 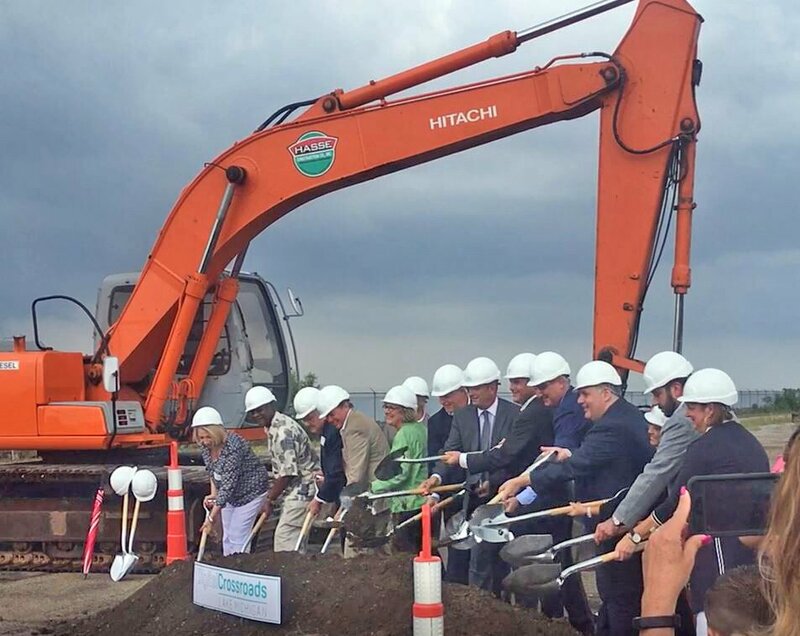 The data center will connect to customers using its own dark fiber network, hoping to rival Chicago data center operators with its access to the Midwestern power grid, Lake Michigan’s cold water supply and the local area’s strong connectivity.